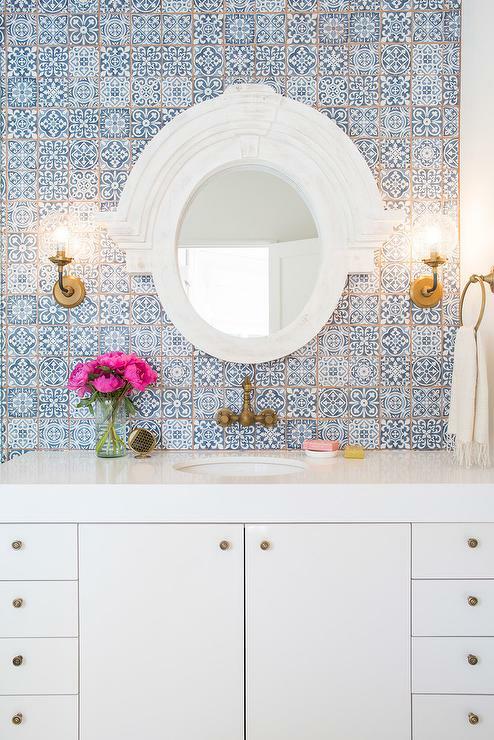 Hello…..time for our virtual love fest to celebrate our favorite color combination! 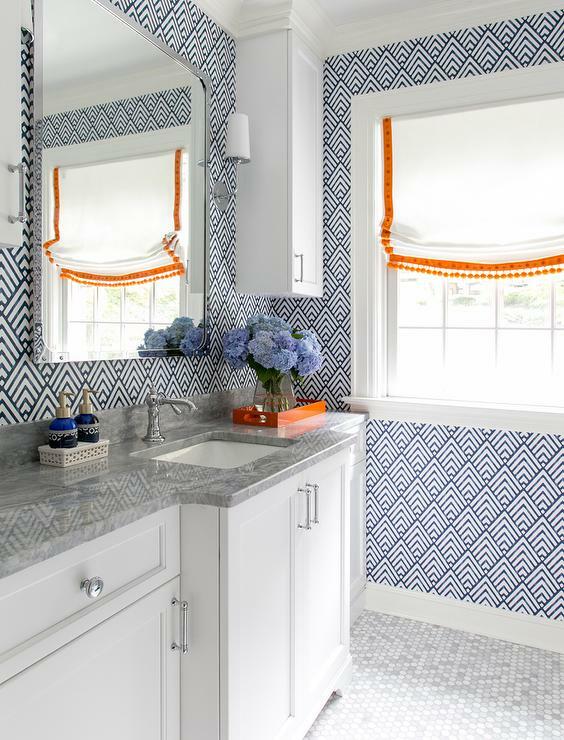 I feature a way to use blue and white via our monthly ‘meetings” once a month. 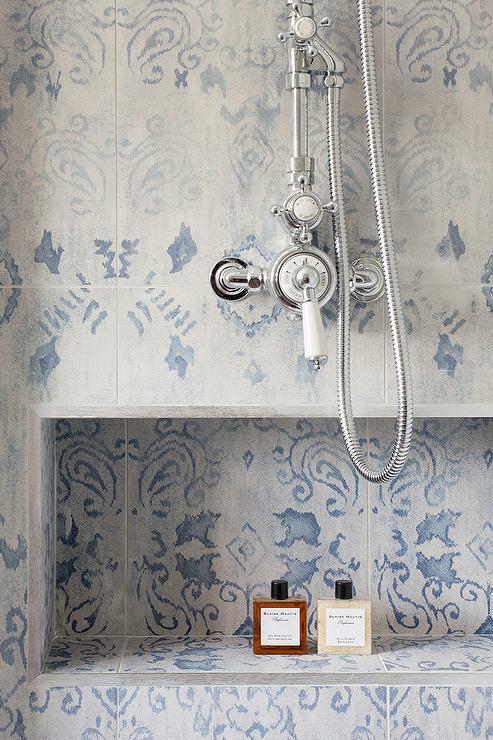 Today it’s all about blue and white in bathrooms. 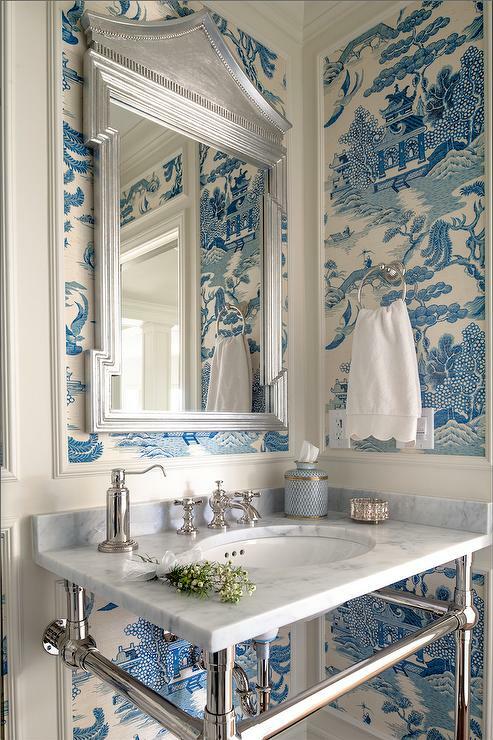 Shockingly, I have never done a blue and white bathroom until PB, finally got one and love it. It makes me just feel good walking into that space, just feels so happy, bright and welcoming. 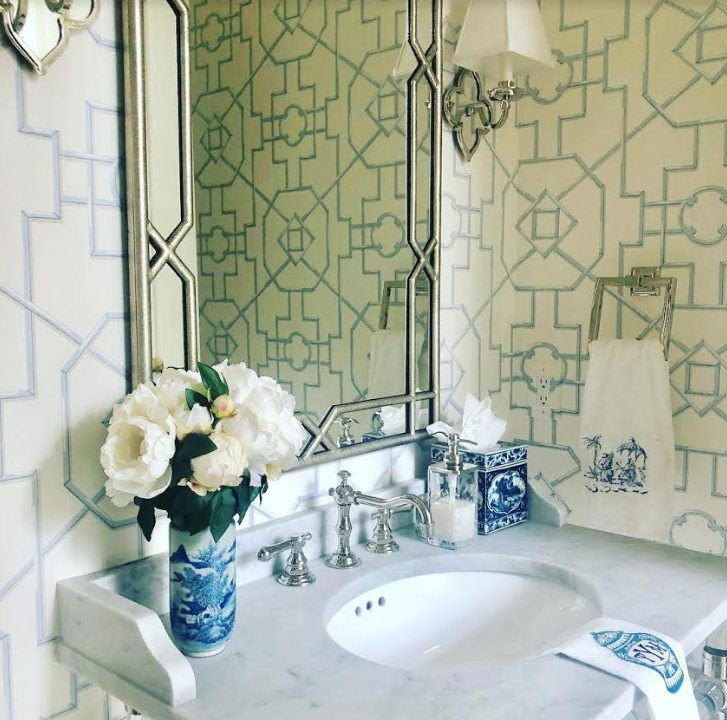 Eventually I will redo my powder room here in NY and when I do it will be a vision of blue and white, I can see it now:) There are many ways to incorporate blue whether it’s paint, tile, accent wallpapers, accessories like ginger jars or garden seats and more. 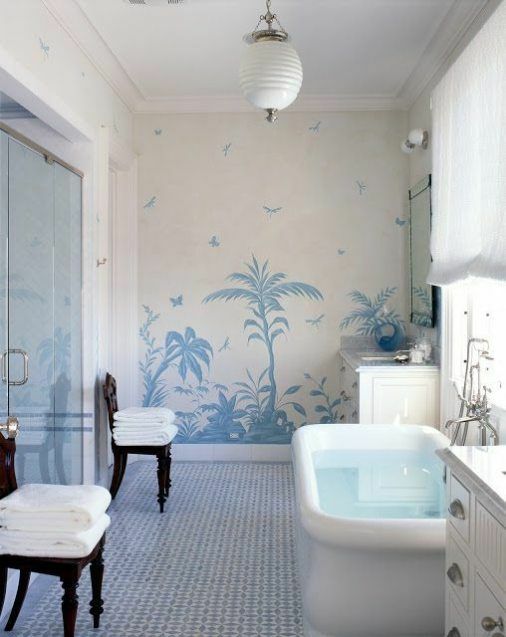 So first a look at how exquisite this color combination is in bathrooms/powder rooms then I hope to hear from you. 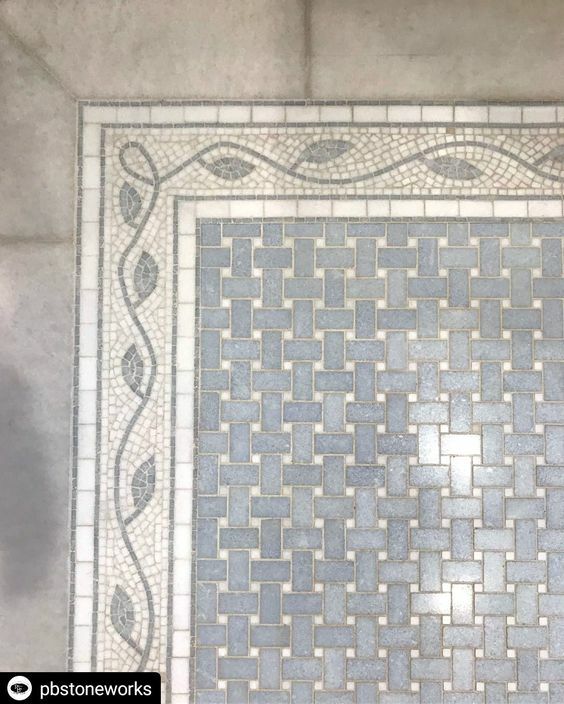 If you like it, have you done it or would you? So let’s get started……. 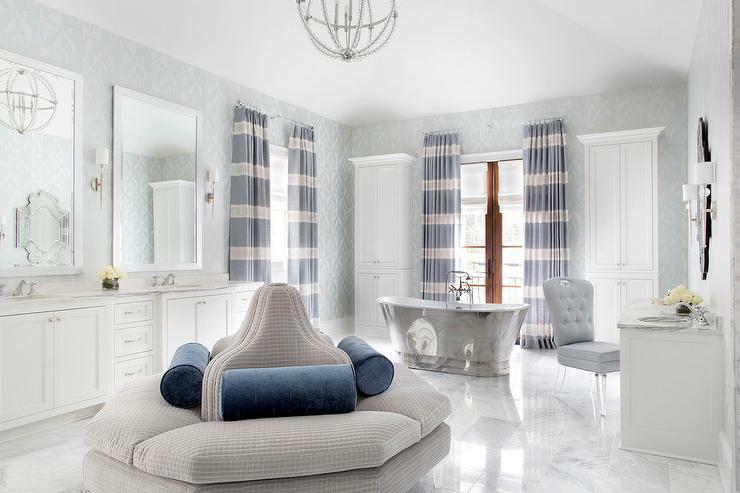 Traci Rhoads created a master bath in blue and white that you would never want to leave! 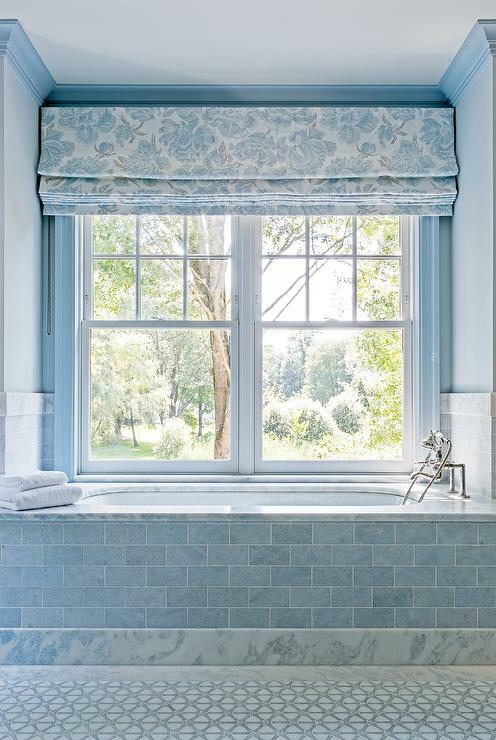 How gorgeous is this vision in blue and white by Phoebe Howard! As I always do with these posts, I offer up a discount to coincide with our monthly meetings. 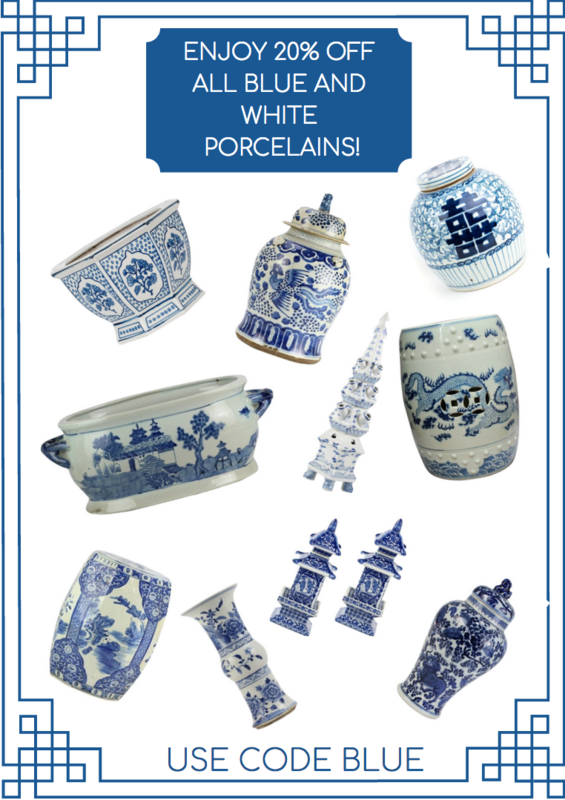 So today’s special is 20% off all blue and white porcelain just in case you are feeling the “need” to add a little blue and white into your home. Use code blue. 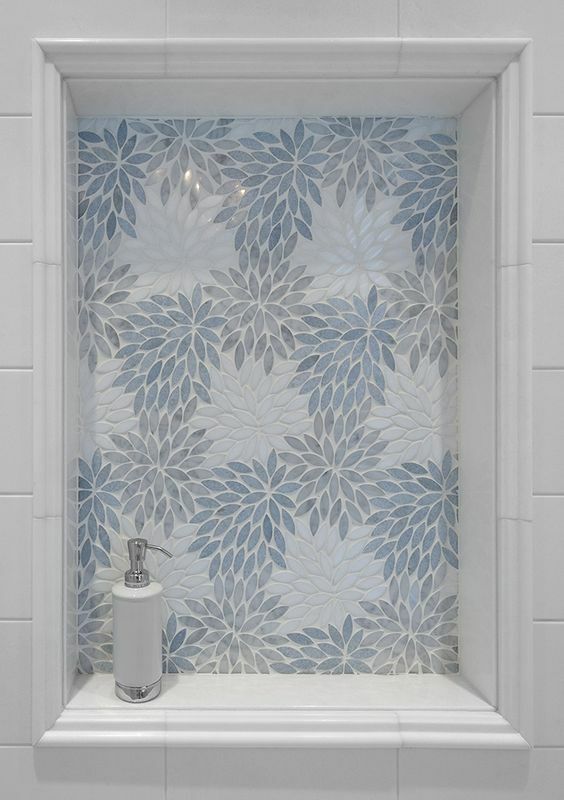 Click here to see our huge porcelain collection. This special is on for today and tomorrow. And there you have it…..this months meeting on our favorite subject! 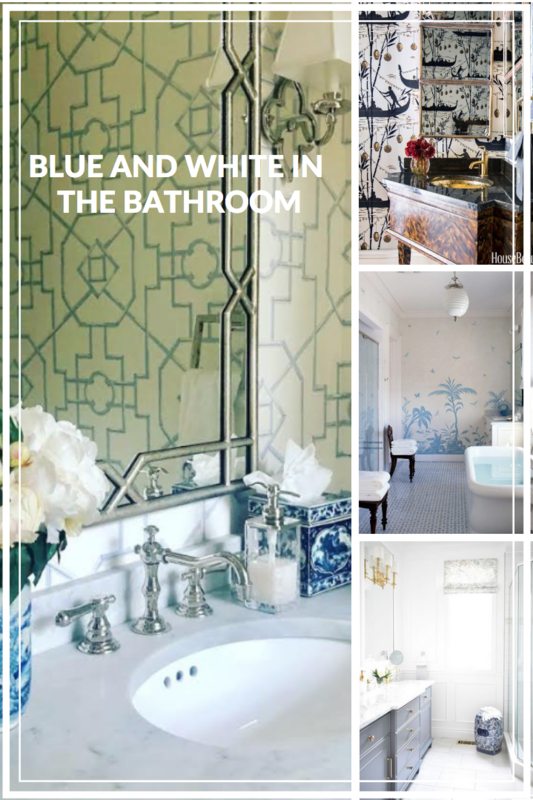 Would love to know your feelings on using blue and white in the bathroom. 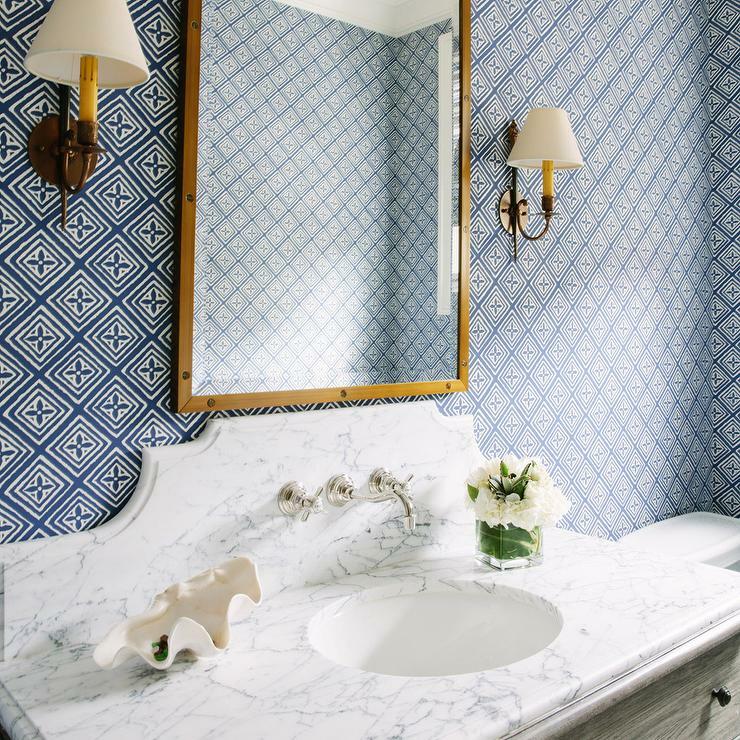 There are as seen here, many ways to incorporate a touch of blue and white in a bathroom, all beautifully done. 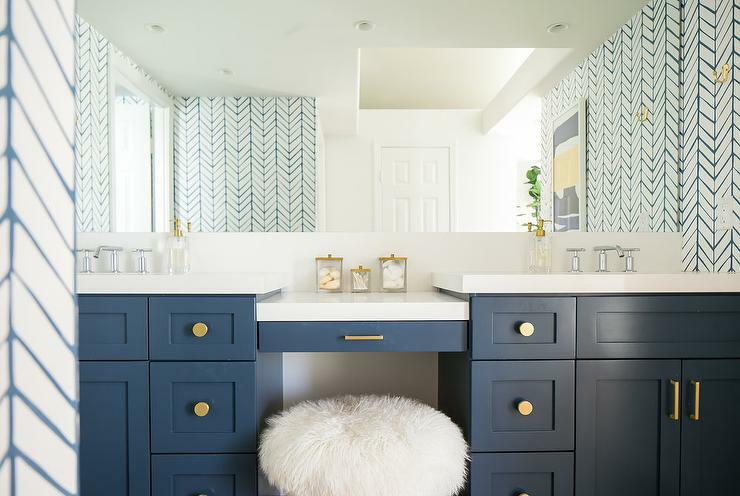 Maybe you already have or perhaps this post has you doing a little brainstorming! Always love to hear your thoughts on the subject at hand. 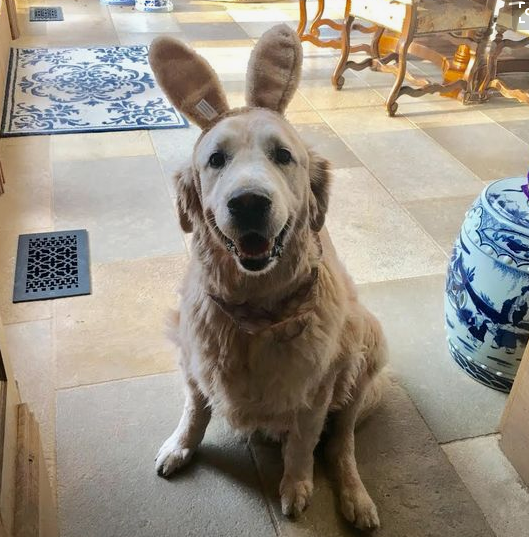 Thanks for stopping in, wishing you a fabulous day! As always, I love all your choices! 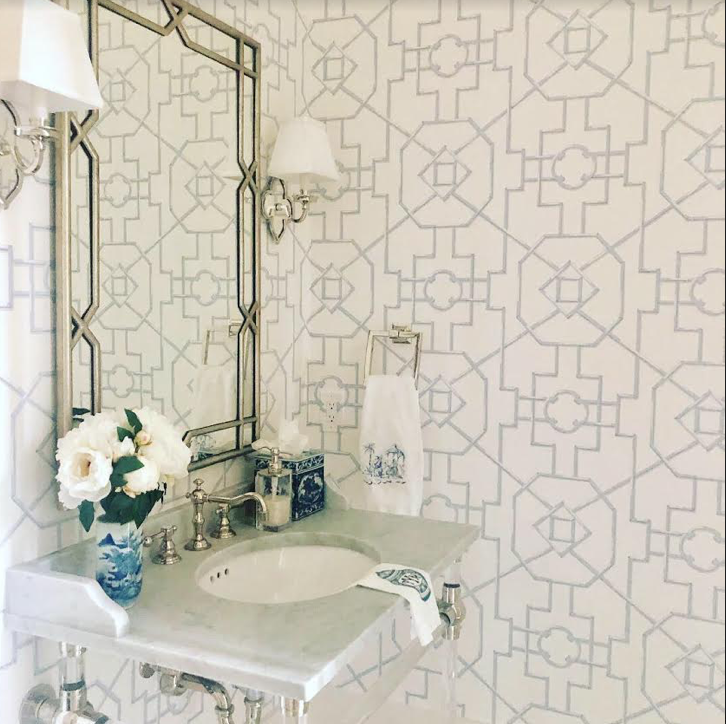 Any chance you know the supplier of the pretty paper that Meg Braff used? 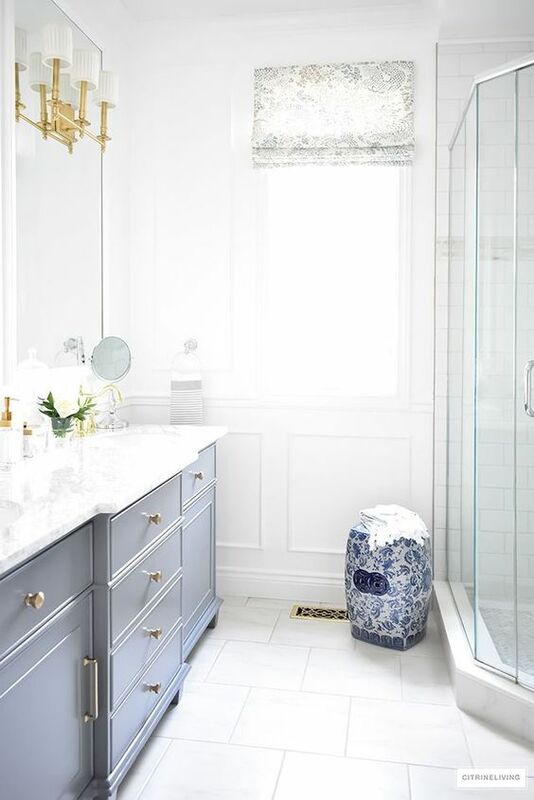 Blue and White, how beautiful! 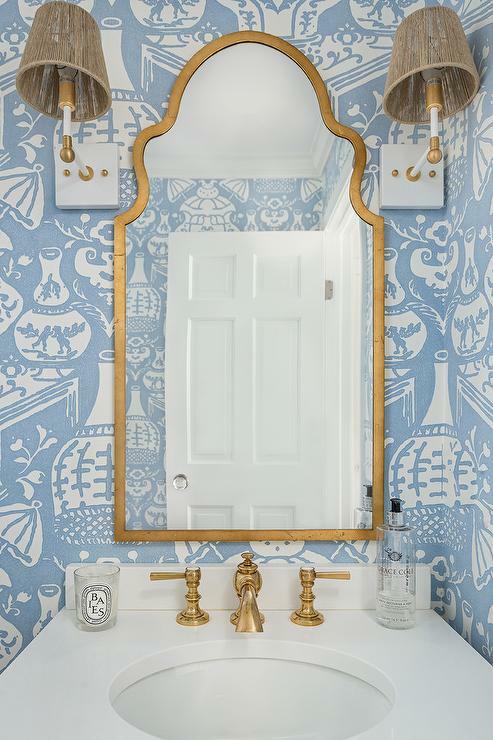 Do you know the manufacturer/design house that makes this wall paper? 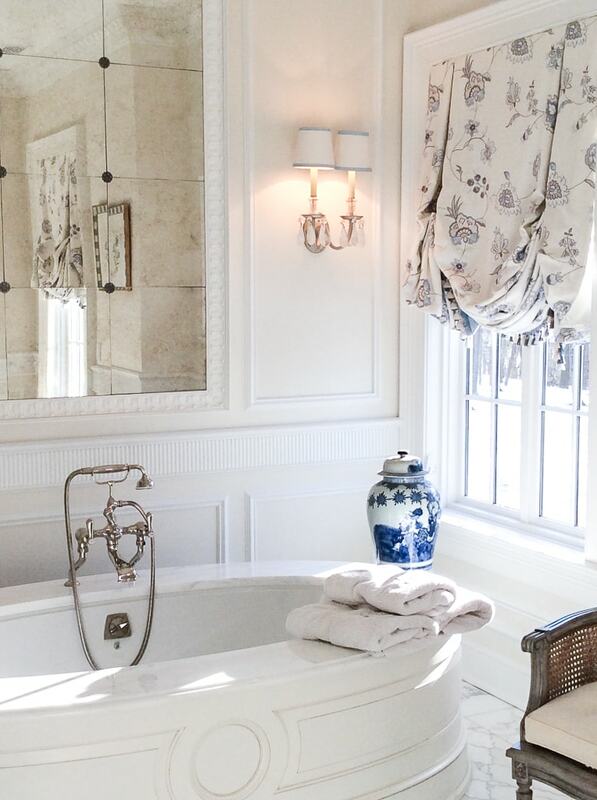 Beautiful bathrooms, one more beautiful than the next. 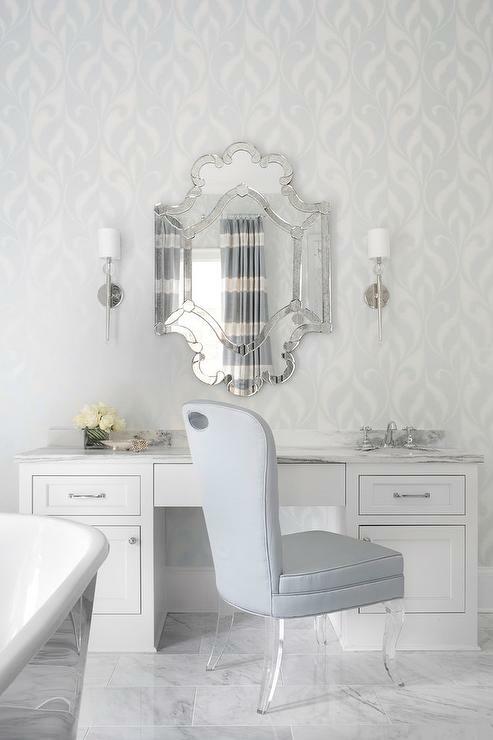 Love, love, love your PB powder room and the blue cherry grass cloth in the other bathroom is just glorious! Dearest Tina—Forgot to say how touching and wonderful are the shots of your beloved dog that accompany each post. Thank you for letting us share him. I’m currently designing the home we will be building in River Dunes, NC. Since It’s river front I plan to take a departure from my favorite color, green, and venture into using more blue. It will be a nice change and I got some great ideas here. Pinned the heck out of this post. Happy Spring! 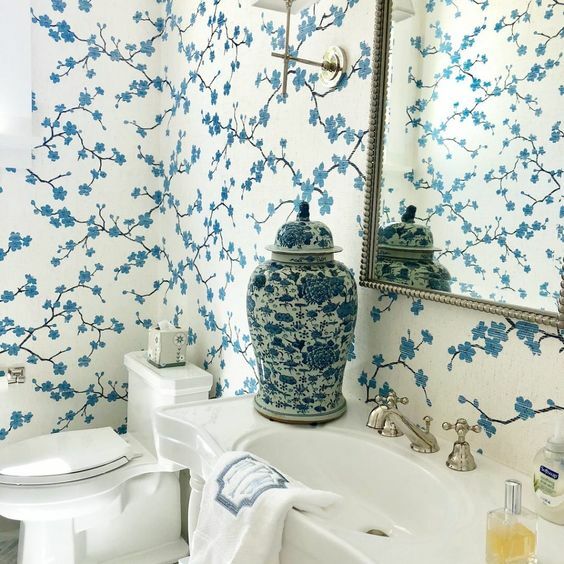 Your PB cherry blossom bathroom is the prettiest. Beautiful photos. 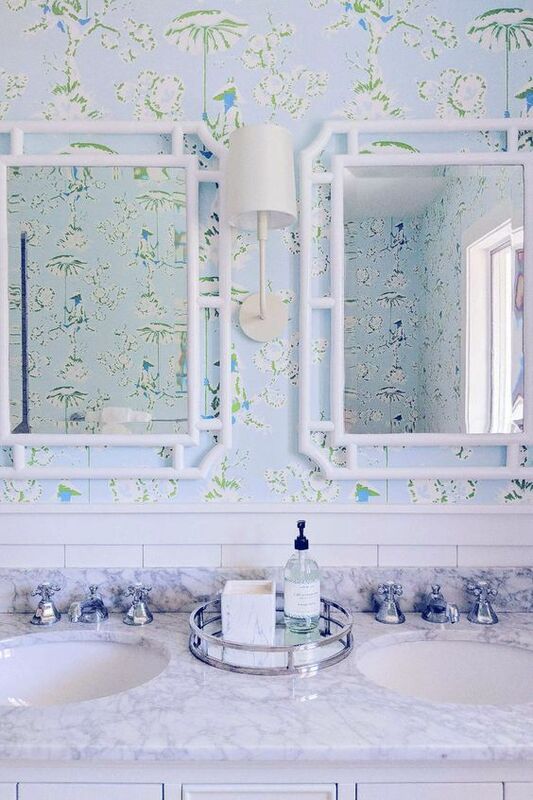 Love this post…..especially Courtney Blanton’s powder room.Does she have an account on Instagram or Pinterest? 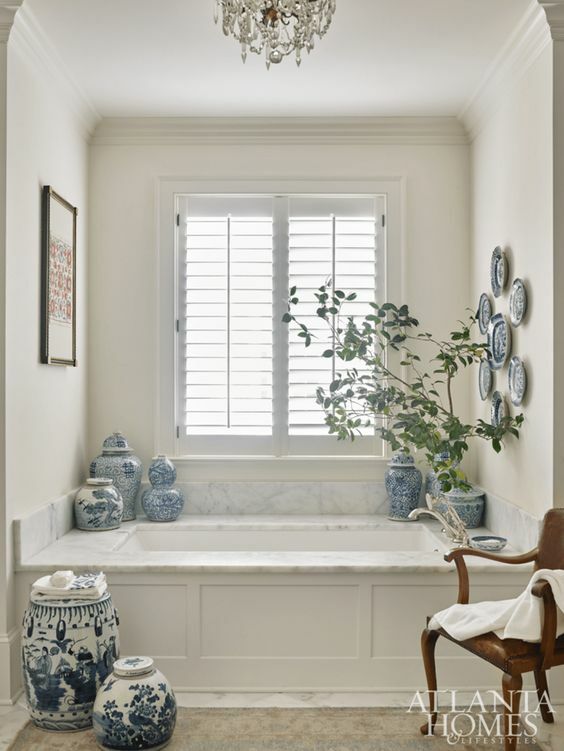 Beautiful mouldings….. 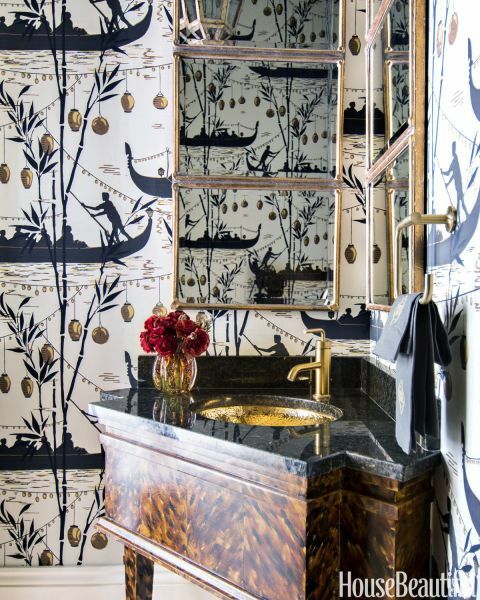 Your bathroom is exquisite !!! 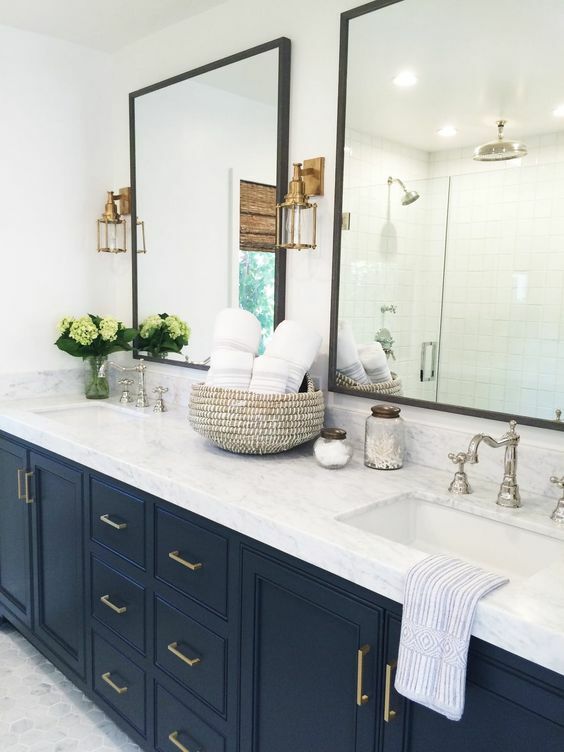 This blog has got me wanting to change my guest bathroom! 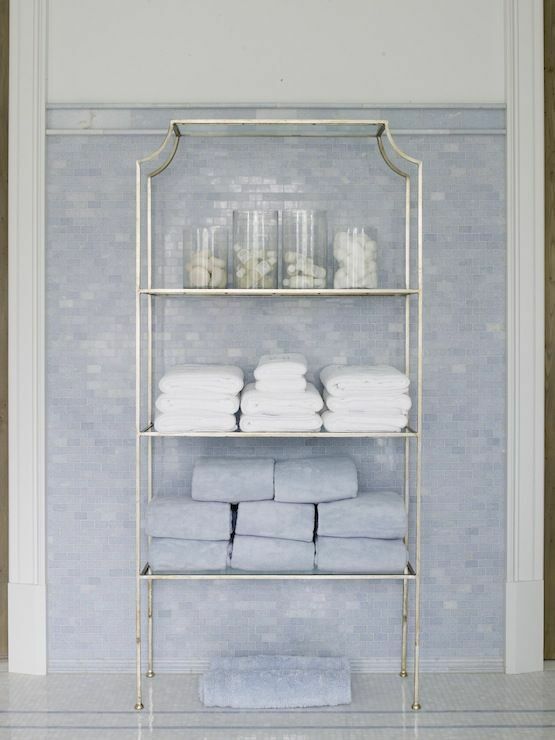 It has soft grey walls, darker grey vanity, and the accents are navy and white. 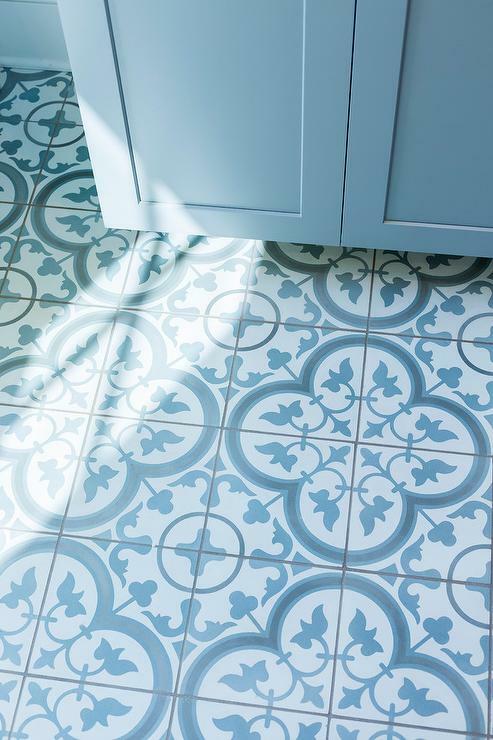 So many beautiful wallpapers in this blog, maybe that would be a nice change from plain walls. 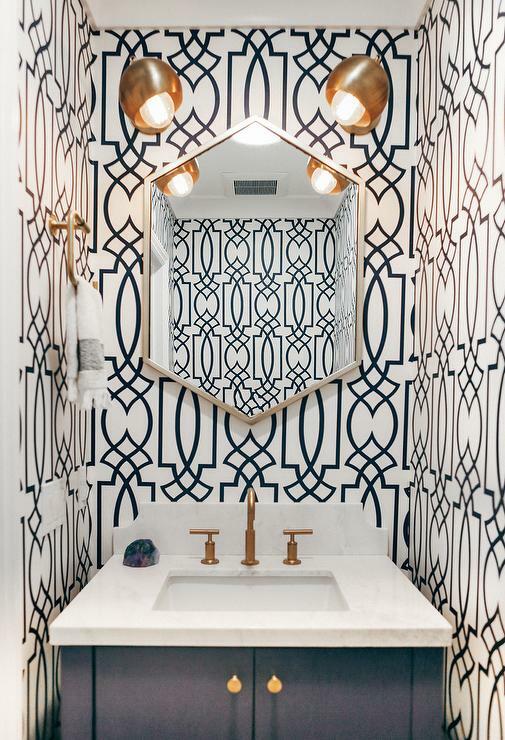 All the bathrooms are gorgeous, however.